HTC 11 price, specification, release date, features and everything to know about it is here. One of the most anticipated upcoming smartphones of 2017, HTC11 is now probably less than six months away. Here we have listed all the latest news and rumors about HTC 11 specs, features, etc. 2 HTC 11 Release Date UK & US: When Will It Come Out? 3 HTC 11 Features: What’s New? 6 HTC 11 Software: Android 7.0 or Android 8.0? 8 HTC 11 Verdict: Should You Wait For It? 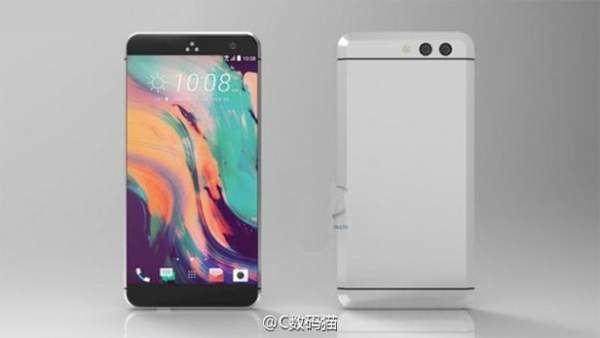 (Update: 11 December 2016): A new leak regarding its hardware and new design of HTC 11 phone has come up. Read on to know about it. HTC 10 was an impressive flagship phone by the company. It impressed everyone this year. The iconic design, slick Android skin, excellent audio quality, great selfie camera, and fast charging were the key features. Thus, we are looking forward and curious to know what will the next HTC flagship phone carry. Everyone is waiting for the HTC HQ to say or reveal some details. The usual tipsters are silent and are not talking about the HTC 11 rumours. As a result, almost everyone is in the dark for now. However, there is some educated guesswork which is likely to be true. Read on to find more about 2017 HTC phone’s speculations and more. HTC 11 Release Date UK & US: When Will It Come Out? Based on the previous release dates of HTC phones, there is no specified date. It is because no one has leaked it yet. Till then, you can look at the below-mentioned history of the already launched HTC flagship smartphones. Therefore, it is quite clear that HTC 2017 phone will be released in the first half of the next year. The month of March seems to be the favorite to release new flagships. Last year, the smartphone giant used Mobile World Congress (MWC) and launched HTC One M9. However, the company didn’t utilize it this year. So, it is likely that HTC may use MWC 2017 for it. It will start on February 27 and it would be a great time for HTC 11 launch. Related: Samsung Galaxy Note 8. HTC 11 Features: What’s New? According to the expectations, there should be some significant upgrades in the hardware and software departments. HTC 2017 flagship leak states the following specs. The above leak was reported on the China’s Weibo microblogging platform. So, we would recommend you not to take it seriously rather take it with caution for now. Below is what we think we would see in the upcoming HTC phone. Once an HTC designer made a concept, and it was leaked as HTC Ocean. It is the main rumor regarding this handset. It had a feature known by name ‘Sense Touch.’ With it, the users could perform functions by swiping or tapping the edges. The prolific tipster Evan Blass made it even more interesting when he said that HTC Ocean is very real. The other leak via Weibo states that HTC 11 will feature a 5.5-inch display with a standard QHD resolution. Thus, it will have 1440×2560 pixels. The HTC 10 had the same resolution but a smaller display of 5.2-inch display. It means that the upcoming phone will have a higher pixel density, i.e., 565 PPI. Moreover, the same leak said that it would sport a 12-MP camera on the rear while an 8MP camera on the front side. If comparing the pixels, then it doesn’t seem to be a nice improvement. However, we are expecting the imaging technology to improve further. There can be a dual module like the iPhone 7 Plus. The front camera is improved as HTC 10 has a 5-megapixel shooter. We guess HTC11 to have the Snapdragon 835 system-on-a-chip (SoC) and there is some degree of certainty to it. 835 is the latest and most powerful smartphone chip from Qualcomm. None of the latest phones/handsets have used it yet. We are expecting it to feature on a number of smartphones line-up to be released in the first half of 2017. As the history speaks, HTC has used Qualcomm on most of their devices. HTC 10 sports Qualcomm Snapdragon 820. Thus, it would be surprising if the company doesn’t employ Qualcomm chip in the HTC11. The special thing about Snapdragon 835 (SD835) is that it has been built on a 10nm manufacturing process. It makes it more efficient than the 14nm process in SD820. Thus, it makes sense for a more powerful and better power efficient phone with SD835. Qualcomm claims 27% improvement in power and 40% savings in power consumption. Moreover, the chip will also have new Quick Charge 4.0 technology from Qualcomm. HTC claims that the charging time will decrease by 20% as compared to the old tech. Such improvements should be there with HTC11. It should be shipped with them else it would be very surprising considering such improvements. HTC 11 Software: Android 7.0 or Android 8.0? It is highly possible that HTC11 will run on Andorid 7.0 Nougat. It’s so because its predecessor was already using Android Nougat when it was launched with Android 6.0 Marshmallow. Google had announced Android Nougat in March 2016 and released in late summer. It came with new features like split-screen apps, Vulkan graphics API support, and seamless system updates. Android 7.0 Nougat came with the richer drop-down menu, impressive gaming power, and app multi-tasking interactions. The alternate to Android 7.0 is to use Android 8.0. However, it seems to more unlikely. It’s because there haven’t been so many speculations about the upcoming Android version yet. Moreover, it’s probable that Google won’t have announced the new Android 8.0 by the launch of HTC 11. Also, even if Google would have announced it, it won’t appear on third-party handsets for many months. The price leaks have been very rare in the history of upcoming smartphones so far. Thus, it makes almost uncertain of knowing the exact price until it goes on sale. Until then, we can only guess it. Let’s look at the pricing of previously launched flagship HTC phones. It’s very clear that top-end HTC smartphones cost a bit high. However, the company’s trend says that the price will be between £500 and £600. We guess the price of HTC 11 will be close to the upper limit in 2017 unless the price of the pound rises to the pre-June 2016 levels. HTC 11 Verdict: Should You Wait For It? We can’t recommend you to wait unless at least half of the things gets clear. As of now, we have no idea if the phone will be good or bad. The company has a mixed track record for its flagships. Let’s see if it impresses us or not. With the scarcity of the leaks, we can’t honestly ask you to wait unless you are an ardent HTC loyalist. Moreover, don’t forget that there will be a number of other phones to release next year too. Those smartphones include the Samsung Galaxy S8, LG G6, OnePlus 4, iPhone 8, and Galaxy Note 8. Some of them will be launched later in 2017. Apart from those, there is a list of great phones like OnePlus 3T, Samsung Galaxy S7, Google Pixel, etc. which you can buy now.